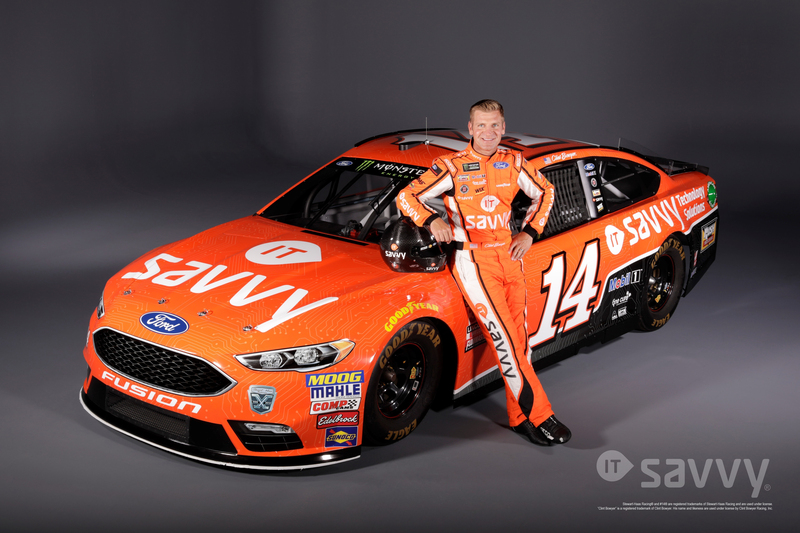 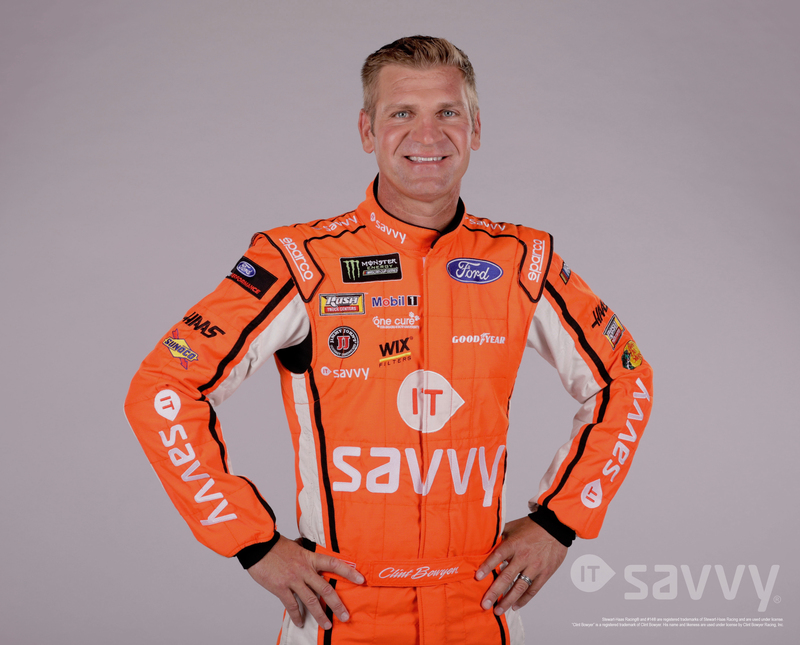 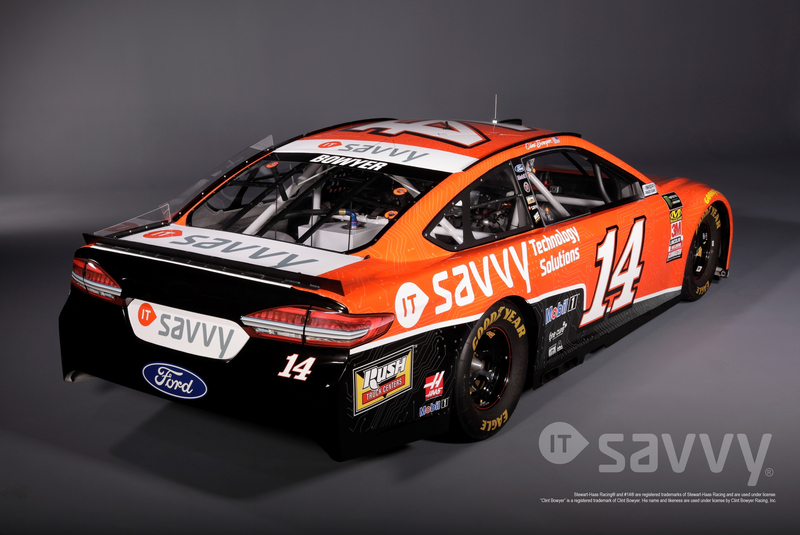 Clint Bowyer’s ITsavvy No. 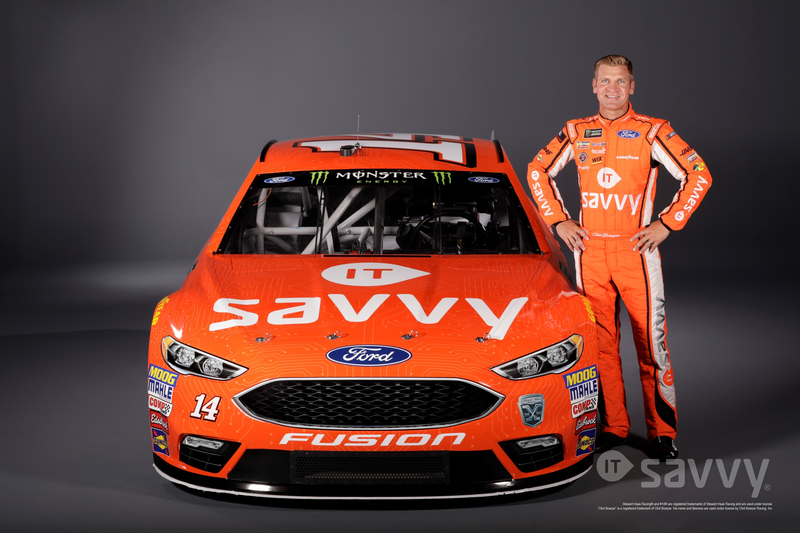 14 racecar is a high powered Ford Fusion with a 4-speed manual transmission and an 850 horsepower engine that requires 20 quarts of Mobil 1 oil. 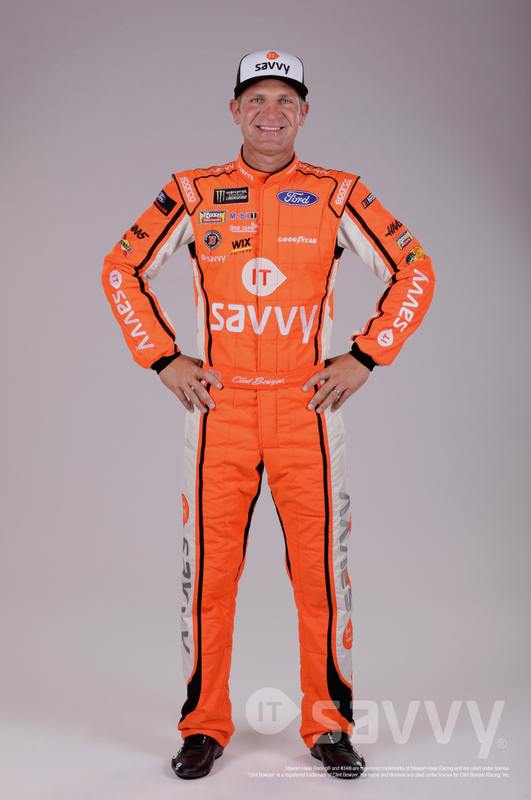 It can reach speeds in excess of 200 mph. 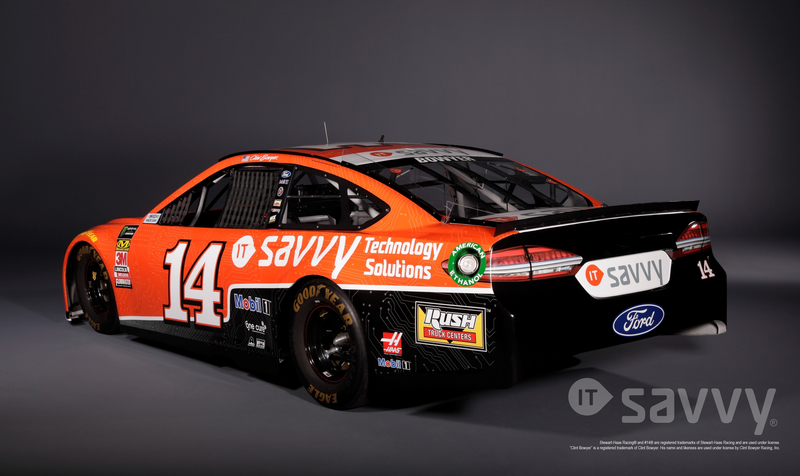 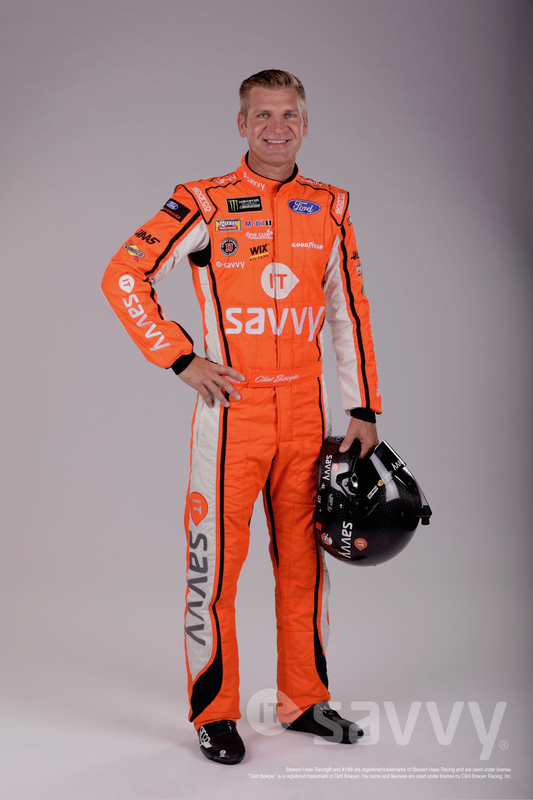 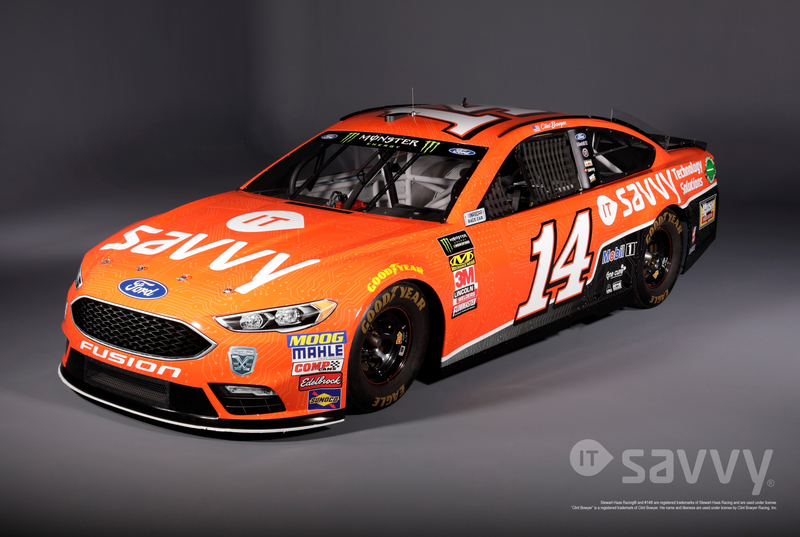 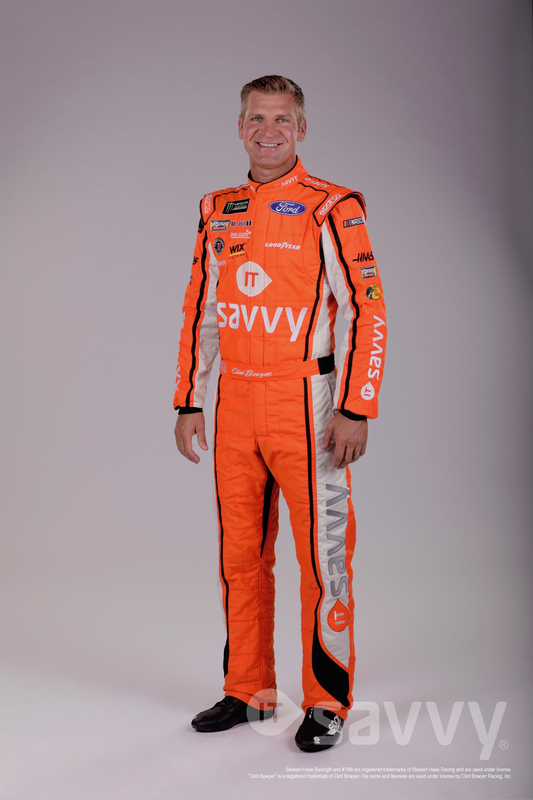 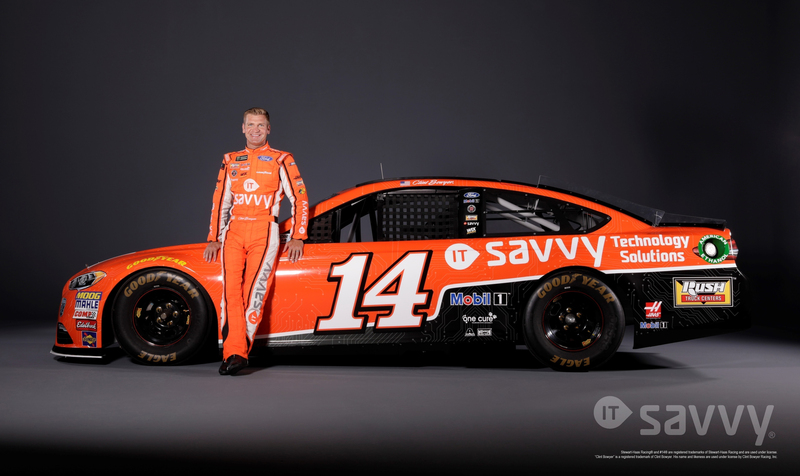 The ITsavvy racecar features the official ITsavvy orange with a computer circuit board graphic on most of the racecar. 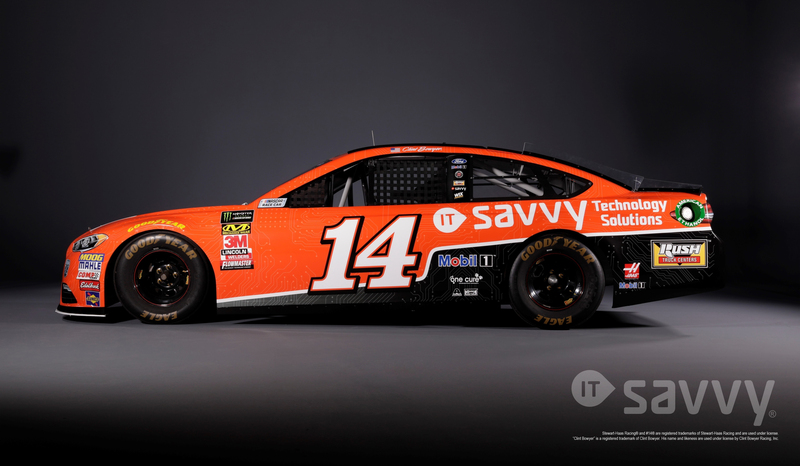 We chose a computer circuit board graphic because we wanted to celebrate all the computer technology that goes into building fast racecars. 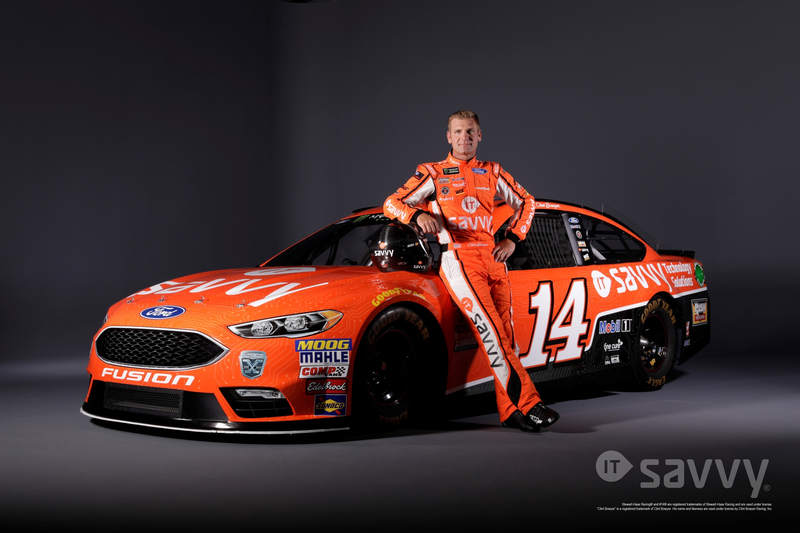 Learn more about the racecar.